Scotland's Speedway team is calling on councillors to approve plans to build a supermarket on their current site in Armadale. Scottish Speedway team the Edinburgh Monarchs has agreed a deal to create a new national stadium, if plans for a supermarket on their current Armadale site are approved. The Monarchs current facility has become run-down and is not suitable for youth development and training work. However, if plans to create a new Sainsburys supermarket on the site are given the green light, the Monarchs have now agreed a deal to take over land at South Couston Farm in Bathgate. The move would allow the team to create a international-standard training facility by 2011. The team says the plan also allows them to remain in West Lothian, where they have developed a loyal fan base. The Monarchs Chairman, Alex Harkess, said: "The Edinburgh Monarchs are extremely happy to announce that they will be staying in West Lothian. We have been aware for some time that the Monarchs’ long term future does not lie at Armadale Stadium. The facilities at the Stadium are long past their best. 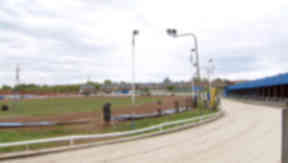 The current Speedway facilities are degraded to such an extent that the site is becoming unfit for purpose. "Due to the level of dilapidation, regenerating the site would not prove financially viable. “For this reason, there is no long term future for the Edinburgh Monarchs at Armadale Stadium, whether or not Sainsbury’s is successful with their planning application. It would be very sad to see the site become derelict. “As well as financial assistance, Sainsbury’s has provided us with expertise in locating and securing a new stadium. We are extremely happy that the team will remain in West Lothian. South Couston Farm is an excellent location and will allow us to secure our long term future in West Lothian. "But we are aware that the relocation will not happen if the planning permission for the proposed Sainsbury’s store is not granted. The Council’s decision is an important one – it can secure the future of the Edinburgh Monarchs, which will allow us to invest in grass roots development and training, currently unavailable through the operational arrangements at the current Armadale site." The move relies on Sainsburys being given permission to build a £23 million new superstore on the Armadale site from planning chiefs at West Lothian Council. The retail giant says its plans would not only help the Monarchs but would also result in the creation of up to 350 jobs. Sainsburys Development Surveyor Dougal Hartley said: "We are delighted to announce that we have agreed a relocation package with the Edinburgh Monarchs. We have always made it our priority to engage with the Monarchs’ representatives and the agreed package demonstrates our commitment to relocating them from the existing Armadale Stadium location, providing them with a platform from which to develop the club, nurturing local young talent in West Lothian. "Our next step is to speak to the locals of Armadale and West Lothian to discuss our planning application. We are inviting all interested parties to come along to a public exhibition to discuss the options. If planning permission is granted for our proposed Armadale store then we can start to put the wheels in motion to secure a new home for the Edinburgh Monarchs and ensure that the shoppers of Armadale have the choice of shops that they deserve."